Parisian animator Denis Do has been in the professional game for several years now with some notable work to his name; the 2017 horror comedy, Zombillenium from film duo Arthur de Pins and Alexis Ducord may come to mind as would Rémi Chayé’s own award-winning animated directorial debut, Long Way North. For this and all else, Do’s creative stride now aims for the ethereal with Funan, set during the Khmer Rogue and pursuant with a touching story penned by himself and screenwriter Magali Pouzol. GKids is readying event screenings this summer at New York City’s IFC Center on June 7, and at the Laemmle Glendale in California on June 14. Check out the trailer and scroll to the bottom of the page for a gallery of stills and the official poster, and peep your local listings! Cambodia, April 1975. Chou is a young woman whose everyday world is suddenly upended by the arrival of the Khmer Rouge regime. During the chaos of the forced exile from their home, Chou and her husband are separated from their 4-year-old son, who has been sent to an unknown location. As she navigates her new reality, working in the fields day and night under the careful watch of soldiers, and surviving the small indignities and harrowing realities of the increasingly grim work camps, Chou remains steadfast in her determination to reunite her family – even if it means risking everything. 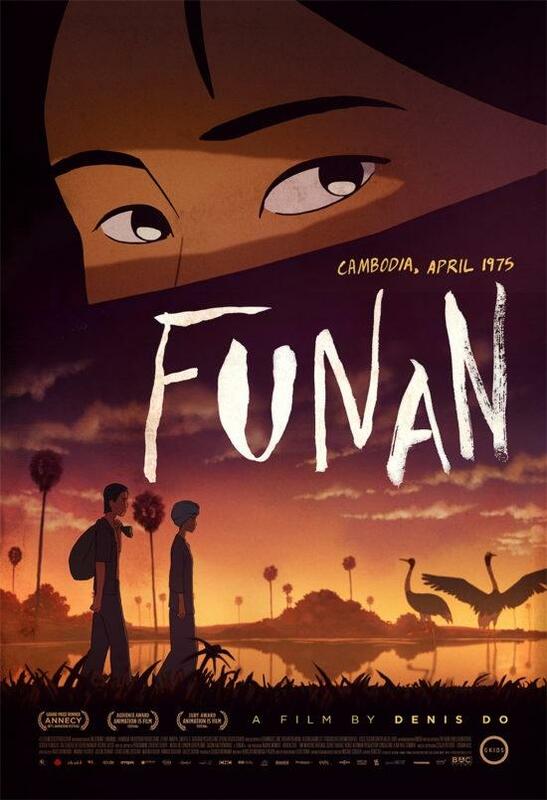 Winner of the top prizes at the Annecy Animation Festival and the Animation is Film Festival, Funan is a searing and remarkable debut from filmmaker Denis Do, who uses his own family history as inspiration for a thrilling story of love, loss and enduring hope in the most trying of times. Featuring the voices of Bérénice Bejo (The Artist) and Louis Garrel (The Dreamers).